In town living at it's best. 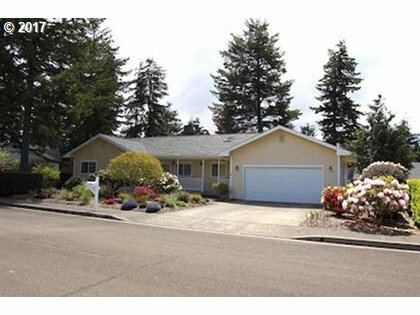 1-level home on quiet cul-de-sac w/ lovely sculpted yard & new deck. Most everything re-done, from 30 year roof & skylights, new laminate flooring in living space, new carpet in bedrooms & new heavy duty vinyl in the kitchen, bathrooms & laundry room. Kitchen has new whirlpool fridge, Kitchen Aid convection oven, & new countertops. New water heater, garbage disposal & all new window coverings.